Elements Applied: The seeds are grounded and the endosperm is used in herbal medicine. 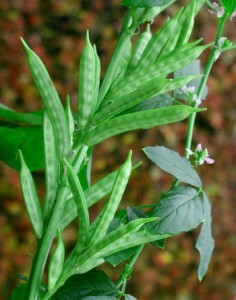 History: Conventionally, Guar gum was applied as a remedy for constipations. Additionally, it served to decrease appetite and help treat diabetes. The plant was also added to cosmetics, like washable creams and hand lotions. Used For: The herb is beneficial for high sugar levels in blood, associated with diabetes, and high serum cholesterol levels in the body. Similar to psyllium, guar gum medications are stated to decrease serum cholesterol amounts considerably. Particularly, the herb is responsible for decreasing bad cholesterol in blood. Cholesterol levels were stated to reduce by 5 to 17 percent when using guar gum medications. Guar gum is also helpful in reducing high levels of sugar in blood. This effect probably originates from its capacity to delay the penetration of carbohydrates to the gut. The herb has also been revealed to reduce the quantity of triglycerides in the body, and is studied with regard to its ability to decrease fat absorption. Additional Info: South Asia residents applied the plant for treating constipations. Its medications are stated to inhibit serum cholesterol amounts. The tree itself is indigenous to Pakistan and India. Combined with water, the resin transfers to a colloidal solution.